Wedding season is in full swing and one of the main issues that men have when it comes to attire is the apparent lack of options. Additionally, in the warmer climates and less formal weddings, we often wonder what options we have apart from the traditional dark wool suit. Well if you're a guy and you've asked this question, or if you're a woman (friend, girlfriend, fiancé or wife) who has been asked for advice, this guide has a few recommendations that won't stray too far from tradition but keep you cooler on those hot summer days. During a summer wedding, you will most likely be outdoors at some point and while you may still choose to wear a suit or a blazer, the choice of fabric and construction is where you can get creative. One option is to turn to a linen-wool or linen-cotton blend. For example, this linen-cotton unconstructed blazer from J.Crew Factory would be perfect for a less formal summer wedding. Unconstructed (sometimes called unstructured) means it has no extra lining inside to keep you from feeling that occasional breeze if the wedding happens to be by the beach (a common occurrence in a place like San Diego, where we live). For a little more, you could pick up the J. Crew equivalent if you want something that is a bit higher in quality. Both options come in a slimmer fit (Ludlow for J.Crew, and Slim Thompson for J.Crew factory) or a more traditional fit (Crosby for J.Crew, and Thompson for J.Crew factory). If you want to invest in something a little more versatile, with higher quality and custom fit, Black Lapel is an affordable custom suit maker that has a line of Fresco Wool suits that you could wear at even more formal weddings but will leave you cooler than other wool suits because of the open weave fabric. Wool also has the added benefit of being better at wicking away moisture than cotton, which is a huge plus in places with humid climates or if you sweat a lot. They also carry some linen blazers for a more casual option. Either way, you'd be getting custom made suiting, from the measurements right down to the type of lapel, pockets and type of vent. (Bonus: if you are getting married and you want to outfit all your groomsmen with custom suiting, check out Black Lapel's wedding page). You can pair any of the above options with a light poplin-weave shirt from Charles Tyrwhitt. If you want something a little more casual, you can't go wrong with this J.Crew OCBD (Oxford Cotton Button-Down) shirt. For shoes, our favorite brand is Allen Edmonds (the classic Park Avenue will fit in at any wedding and their Cavanaugh penny loafer is a great option if you want to go more casual). Some more affordable (but still well-made) options to check out are Jack Erwin and Nisolo. Lastly, when it comes to ties, keep it simple. Do yourself a favor and order a couple Italian Grenadine Ties from Chipp Neckwear (blue, black or navy are good starters). For a more casual option, you can grab a silk knit tie instead. While this is by no means an exhaustive guide, we hope that this can at least get you started if you're having trouble figuring out what to wear for an upcoming summer wedding or two. For some additional tips, check out this article from Dappered.com (one of our favorite men's affordable style blogs) and this J. Crew article about some new summer wedding wear rules, which even suggests that socks are optional. What a world we live in! If you liked this article and think it would be useful to someone you know please share using the button below. Thanks! Victor & Shawna. What can I say about this couple? They had a whirlwind engagement and got hitched one rainy day in the bay. Victor is a friend of mine from Kairos Christian Church here in sunny San Diego, and Shawna attended a church in New York that is part of our church network. They met on a short-term mission trip in inner city Cincinnati. The two of them hit it off immediately, but started out as friends first because it's a little bit taboo to actually ask someone out during a mission trip (juuuust a little bit). But love was undeniably in the air and they ended up starting a long distance relationship, making frequent trips from coast to coast to see each other as often as they could, given their busy schedules. After about a year, Victor flew to NY for a surprise proposal, she said yes, and the rest is history, as they say. 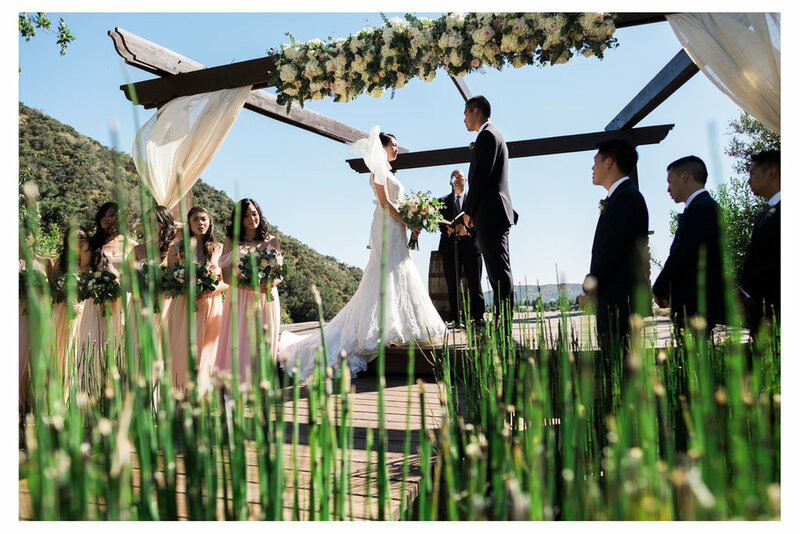 They got married at the Aracely Cafe and Events Center located on Treasure Island, a literal island right off the bay bridge in San Francisco, CA. 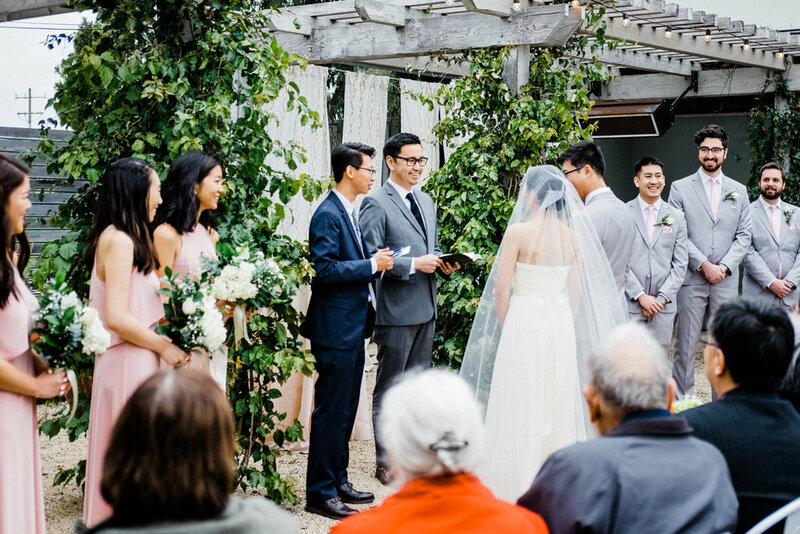 Although there was rain in the forecast that day, it stayed dry throughout the whole ceremony. Rain only started to come down immediately after the ceremony was over, ever so lightly. 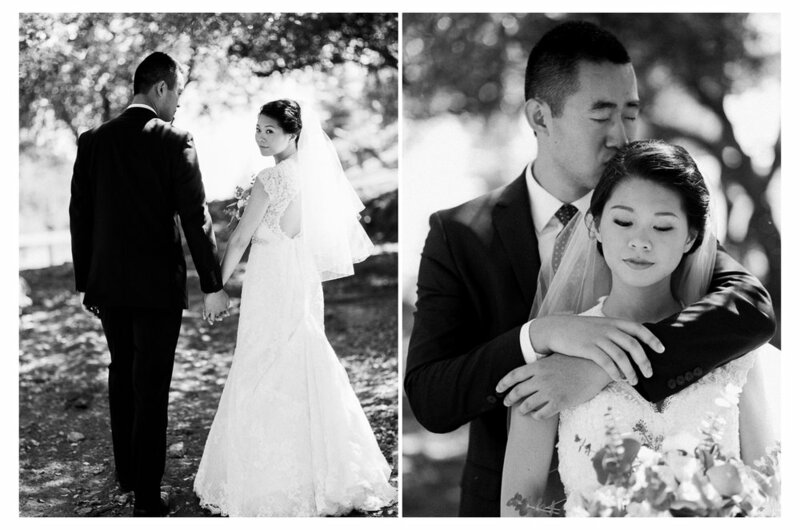 Perfect timing for some atmospheric bride and groom portraits by the bay. I came prepared and had some weather resistant cameras and lenses with me to get those killer shots without worry (more about my gear below). It ended up being an amazing day, and I'm so glad I was able to be there to celebrate the day with them not only as a photographer but as a friend. Congrats again to Victor and Shawna on your beautiful day! Thanks for letting me be a part of it! Second shooter for Orange Turtle Photography. Gear: Fuji XT1 and XE2 with various prime lenses and Pentax 645n w 105mm 2.4 using Kodak Portra 400 film. Ah, November...the end of wedding season. What better way to mark the occasion than by posting photos from an awesome wedding I got to shoot with Orange Turtle Photography this summer. 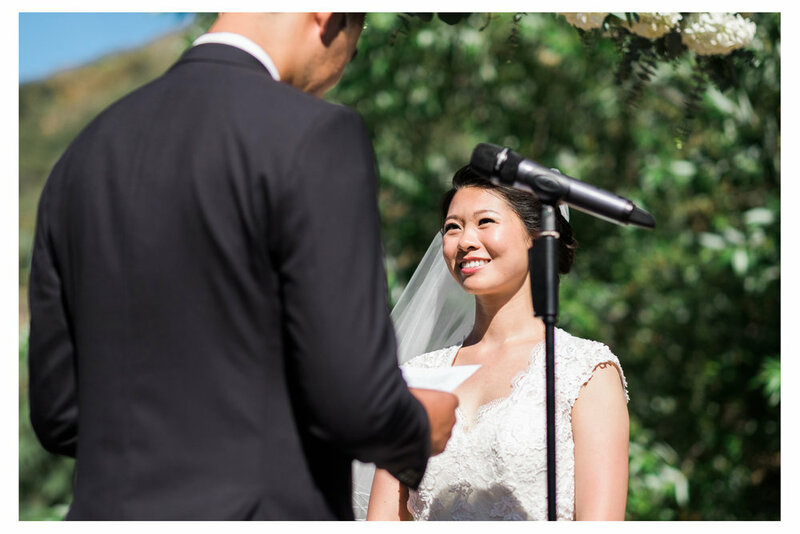 I remember it like it was yesterday- the sun was blazing, the venue beautiful, and the bride and groom, Amy and Yi, two wonderful, kind, amazing individuals (and good looking to boot). The day started off with the ladies getting ready in a bridal suite and the men in a big barn (yep you heard right). Then we took a few portraits outdoors in the bright afternoon sun. When the ceremony started, the sun was out in full force. But Amy and Yi made sure their guests had some sun protection- doling out these white Japense Umbrellas for everyone to help block out some of those UV rays. The reception took place on the grounds as well, not a far walk from the ceremony location. We snuck the couple away for a short portrait session just as the sun began to go down. Once the sun was down, it was time to cut the proverbial rug... Dance party! Congrats again Amy and Yi! 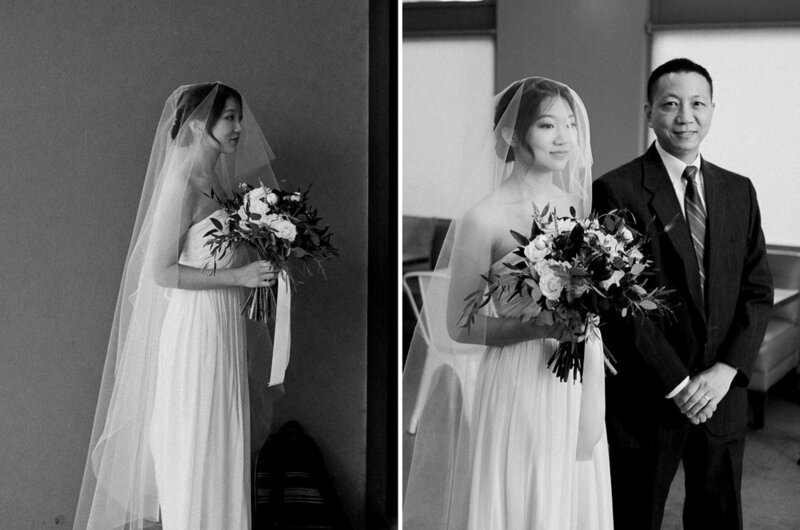 Thanks for letting me capture your big day!